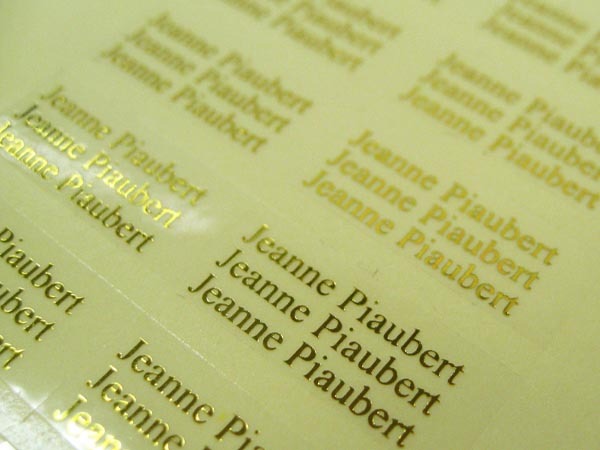 Shiny and lustrous surface (matt or shiny) on adhesive paper stock. 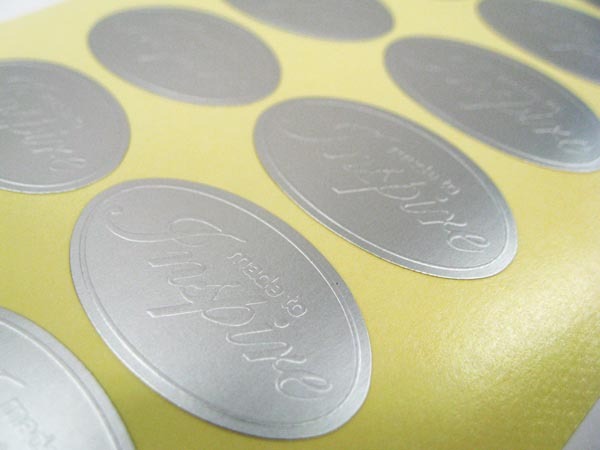 Embossing or hot foil stamp are really great finishing touches to this sticker stock. 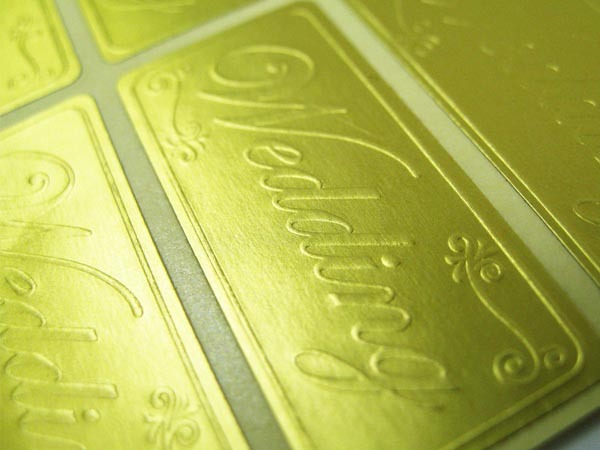 The dazzling appearance of foil stamping combined with the subtle dimension of embossing creates an image that stands apart for the ordinary. 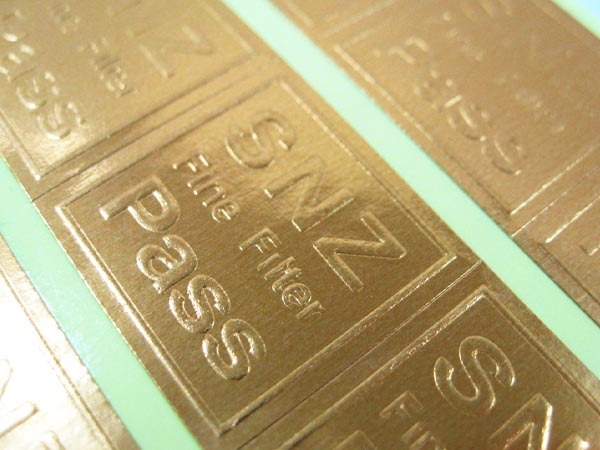 Provides a prestigious metallic appearance. 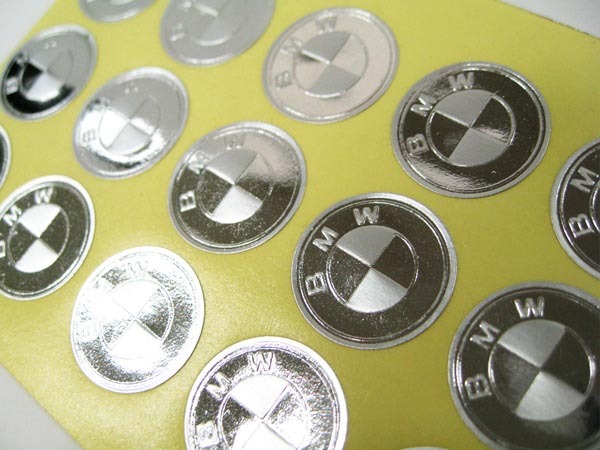 Many different colors available. 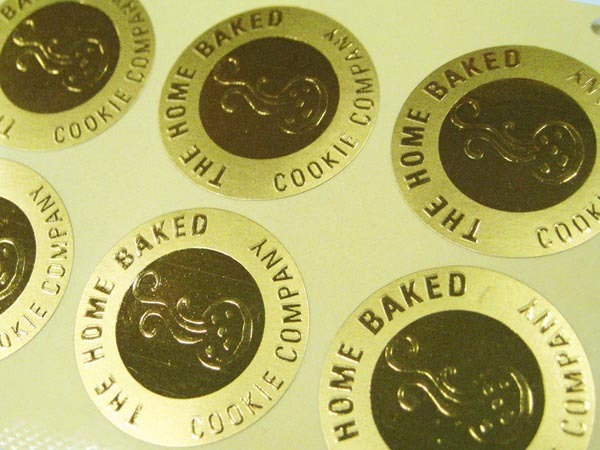 Most items are stamped in either silver or gold. 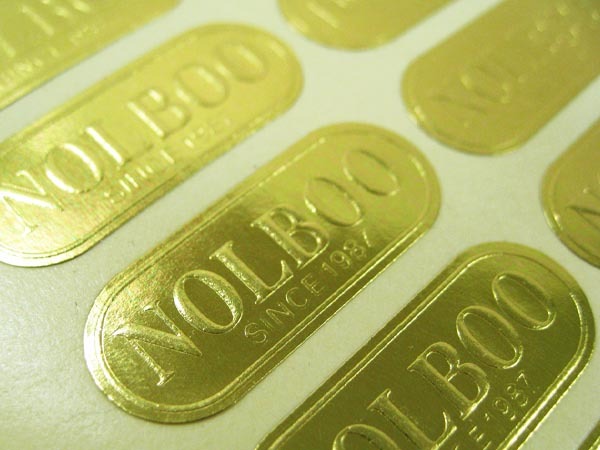 Capable of stamping any customised shapes to your logo or design. 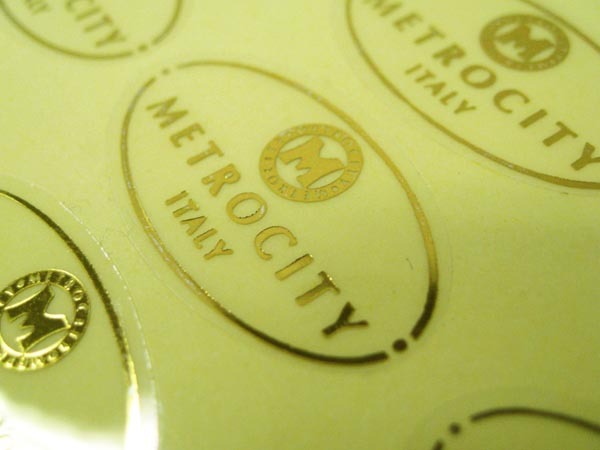 Provides a prestigious metallic appearance but unlike paper the clear substrate gives the artwork a cutout stencil look. 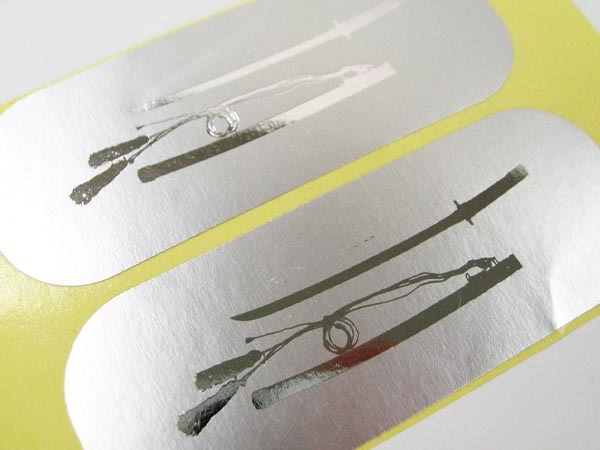 Capable of stamping any customised shapes.